Do you know the phrase – “A rose by any other name would smell as sweet”? It means that what matters is what something is, not what it is called. Well, I’m not sure I would agree with that. At a show recently I was chewing the fat with a friend. I suddenly realised that a mutual friend who had planned to be at the show was absent and asked if she knew where the friend was. At this, she started to repeat a story she had already told, and then I realised that we had two mutual friends with the same name, both of whom were not at the show. This incident got me thinking about names. Do you use common or Latin names for plants? Do you think that the people who use Latin names are just showing off? Are people who use common names missing out? Or have you never even thought about it, and you just use the names of plants that you always have done? Why are names important? Well, they help us easily distinguish one from another, be it plants, dogs or even humans. Like dogs, there are a number of different levels of a name that allow you to differentiate what you are talking about. The first level is the group. Instead of Gundogs and Utilities, there are trees, shrubs, perennials etc. However as there are many more species of plants in the world than groups of dog breeds, there are many more groups. Unlike the dog world where the different governing bodies have their own groupings of breeds, for plants there is a standardisation of names which avoids local language issues and therefore global confusion, by the use of a Latin based naming convention. The International Code of Botanical Nomenclature’s Tokyo Code lists the first agreed plant names as happening in 1753, admittedly for a very restricted list of plants. Since then there have been a number of additions to the code as more plants get discovered and as scientific advances show that plants belong to different families than had previously been thought. So, whilst there have been official Latin names for plants for a very long while, most people weren’t aware of them, and so common plant names came into being as people wanted to be able to distinguish their plants. You could liken the use of common names for plants to referring to a German Shepherd as an Alsatian. Whilst the majority of the British public would understand what you mean by the term Alsatian, as far as the Kennel Club, at least, is concerned, German Shepherd is the correct term. 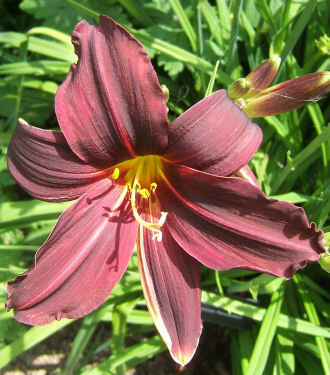 There are obviously a huge range of plant common names, but one of my favourites is the Hemerocallis whose common name is the Day Lilly, which is so appropriate since its beautiful flowers only last a day. Thank goodness it has so many flowers that this is not really a downside, apart from the need to constantly dead head it to keep it looking at its best. 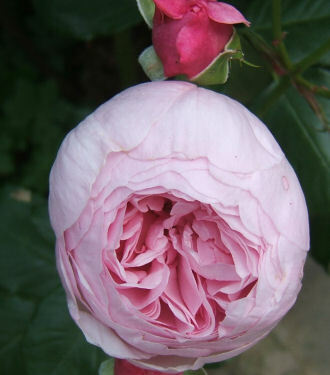 Some plants have very similar Latin and common names, one of these is the rose, whose the family name is Rosa. It is interesting that many of these are also human names too, such as Iris and Daphne. So why are plant names important? The reason is that it helps you ensure that you have the right plant. As with dogs, even within one plant family there may be a great deal of differentiation between the conditions that members enjoy, and you want to get the right plant for your circumstances. 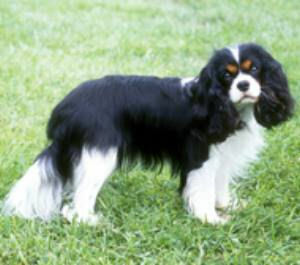 Imagine if you went to buy a spaniel and didn’t realise the difference between a Cavalier King Charles and Irish Water. If you bought it from a shop without specialist advice and only saw the young animal without its parents and had only a very small amount of information about it, you could easily buy something which was not right for you. This is the sort of situation that most of us find ourselves in when buying plants. We go along to the local gardening superstore and read the labels. Unfortunately the labels for plants aren’t very big, and so they don’t have space to tell you all you really need to know. You therefore have a number of options, which shares a great deal of similarity with buying a puppy, though obviously the two purchases are not of the same order of magnitude. First do your research, be it in books or on the internet. Find what you like the look of and then determine if it looks to be right for you. Once you know its name, then you can go on a shopping expedition confident that you are looking for the right thing. At a specialist nursery, the staff will have a great deal of knowledge about the plants that they are selling and will be able to provide detailed advice, much like a reputable breeder. Of course, where plants are concerned, most of us are not that disciplined and frequently make impulse purchases. Hopefully, you will be able to get a rough idea from the plant label that the plant should be able to survive in your garden, but checking out the precise requirements of that plant when you get home will enable you to put it in a place which will give it the best possible chance of survival whilst not looking totally out of place. So, you have identified the plant that you want. Now we go down another level of detail in names. 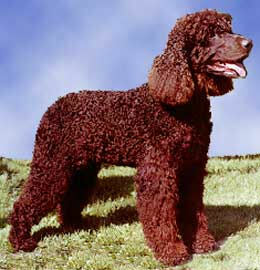 In dogs, most people have an understanding of the difference between a spaniel and a retriever. Plant name will identify it and allow you to know the colour, height, shape etc. Often names give an indication of the physical characteristics. If the name includes the word “alba”, it is likely to be white, if “nigra”, then black. “Fragrans” indicates if something is fragrant, “reptans” suggests a creeping plant, whilst “aquatica” means the plant is likely to be happy in or very near water. Sometimes you get families of names, which bear some similarity to affixes as they show who bred the plant, and they give some idea of the characteristics that the plants are likely to have in common. 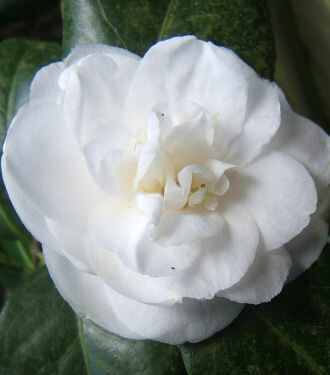 In addition, every AGM plant has a hardiness rating. This is intended to serve as a general guide to growing conditions. It is interesting that whilst plant naming exists on a global basis, they are not necessarily used when plants are sold in every country. For example, in the USA, most plants are labelled by their common names. This may be due to the fact that gardening there is still a minority pastime. This again has parallels to the dog world, where I have found that by the ringside in the States very few people refer to other people’s dogs by their registered name, but rather their pet name. Plant names help you identify exactly which plant you are buying. They avoid the possibility of confusion and make it easier to get exactly what you want. Watch out for the ones with the AGM award, then that way you will have a plant that will do credit to your garden.